Deliveries are in letter box friendly packs so you recipient doesn't need to be in to take delivery. Each month you'll receive a different flavour of our handcrafted truffles. Some months will feature special edition flavours only available to Truffle Club members. 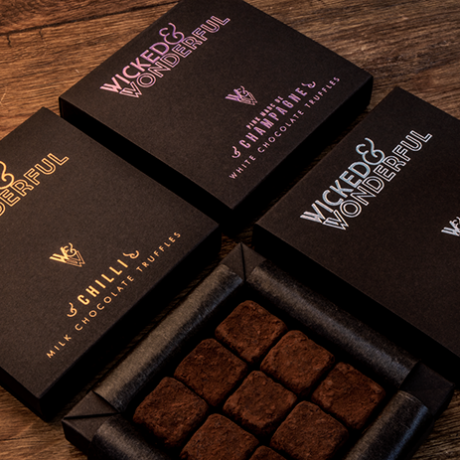 Our truffles are designed and created by our head chocolatier who is a seven times Academy of Chocolate Award winner (Winning double Gold at 2016 Awards). Flavours have included: Gin, juniper lemon & black pepper / Chilli / Pecan / Single Estate Madagascan Vintage / Havana (a smoky cuban chocolate) and many more.